Following on the heels of slopestyle skiing included in the 2014 Olympic program, the U.S. Ski and Snowboard Association has announced another progressive addition to the Team with the formation of the inaugural U.S. Freeskiing Slopestyle Pro Team. 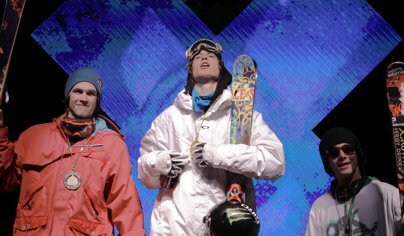 Athletes like AFP Slopestyle Champion Bobby Brown (Breckenridge, CO), World Championship gold medalist Alex Schlopy (Park City, UT), World Championship bronze medalist Keri Herman (Breckenridge, CO), X Games gold medalist Sammy Carlson (Hood River, OR) and Dew Tour winner Tom Wallisch (Salt Lake City), headline a list of 10 athletes nominated to the landmark team. Slopestyle skiing was incorporated as an Olympic sport this past July. Athletes are judged on runs in which they perform tricks on a series of jumps, rails, boxes and other features of a man-made slopestyle course. For Wallisch, being nominated to the country's first slopestyle skiing team is an honor as well as an opportunity to see his Olympic dreams come true. Also nominated to the ranks of the first U.S. Freeskiing Slopestyle Team is AFP Overall Tour Champion Gus Kenworthy (Telluride, CO). Named to the women's roster are Herman, who took X Games slopestyle silver last season, World Championships team member and Dew Tour winner Ashley Battersby (Park City, UT), X Games bronze medalist Grete Eliassen (Salt Lake City), AFP Overall Tour Champion Devin Logan (West Dover, VT) and World Championship team member Meg Olenick (Aspen, CO). Leading the charge for this first ever group is Evan Raps, newly hired U.S. Freeskiing Slopestyle Pro Team Coach. Raps is a former competitive freeskiing athlete and X Games medalist who is a key pioneer of the freeskiing movement. The development of U.S. Freeskiing has spurred strong partner interest from major global brands including The North Face, Visa, Delta, Paul Mitchell, High Sierra and others. Freeskiing has been a hot segment of the skiing marketplace with a strong focus by resorts worldwide. The slopestyle skiing season kicks off for athletes with the 2012 Winter Dew Tour in Breckenridge, CO Dec. 15.